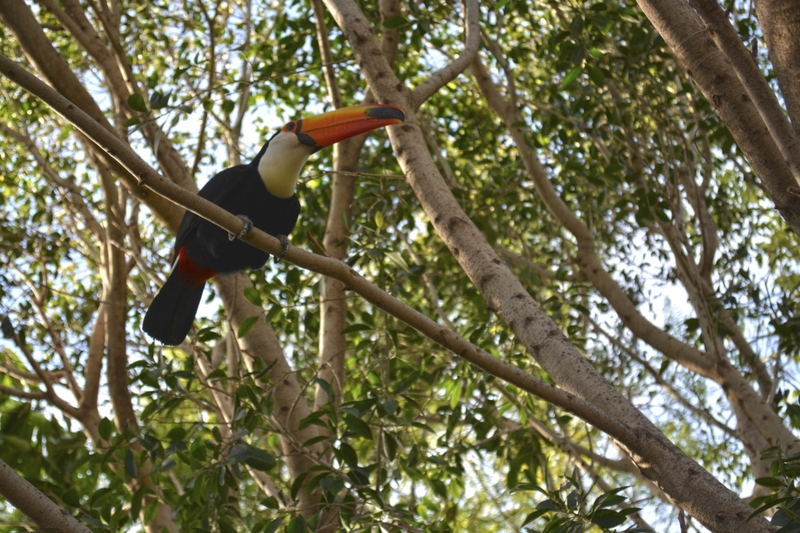 Toca the Toucan is settling in with the other birds in the Terra Natura Benidorm aviary. The Benidorm zoo keepers have been making her feel at home by recreating her natural habitat so she can join the other birds in this tropical ecosystem. Four of the other toucans had to be moved to other areas because they were trying to boss the rest of the birds and even the marmosets who live in this enclosure. However, following the arrival of a new Swanson toucan, it was decided to try again to reintroduce this species into the aviary. The keepers improved conditions by putting in more vegetation so it looks as close as possible to the tropical forests where these birds live. As the park caretakers explain, it is complicated to get these birds to adapt because of their dominant nature. At present, the aviary of Terra Natura Benidorm has 350 animals, of 45 different species. 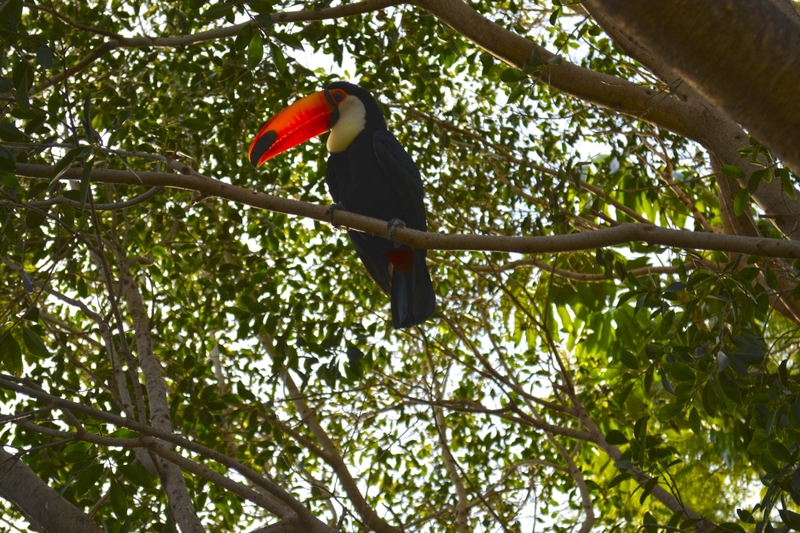 The toco toucan is the largest toucan and has a beak about 30 centimetres long. In the aviary, there is a pecking order with some birds dominating the ground and others higher up, in the trees. You can see this for yourself when you visit Terra Natura Benidorm because there are certain areas where each bird establishes its territory.This is where they will eat, nest and interact with the rest of the individuals of their species. Some of these species such as the curassow, the southern screamer, the trumpeter and the northern peacock dominate at ground level and the ibises and storks on higher ground. The latter has two very specific nesting areas whose huge nests can be seen by the public during their visit. The toucan Toco is listed as CITES II, which means that it is not in danger of extinction, although its population has declined alarmingly in the wild since 2002 due to illegal trafficking, hunting, deforestation and environmental pollution.